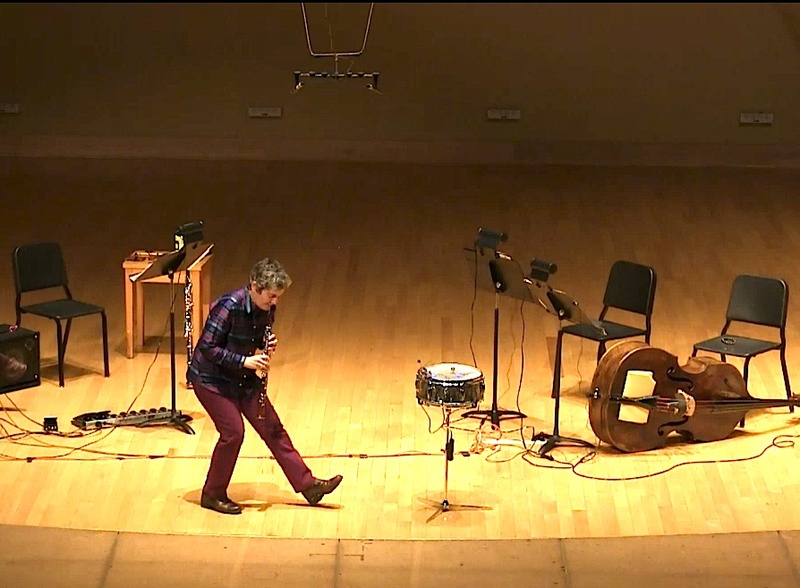 The most recent version of this duet for drum, micro-controller and instrumentalist featured the oboe and was recorded at Hunsinger’s March 2016 solo trans-media recital at Tennessee Tech University in Cookeville, TN. An earlier version with Soprano Saxophone was performed at Nashville’s Sound Crawl Festival in 2012. Hunsinger did tweak the code and the hardware set up for the latest concert. She created an installation version with an added light responsive feature for Visible Sounds, her solo gallery show at University of Tennessee in Martin, TN in early 2017. This project is also closely related to her acoustic interactive robotic sound sculpture Skitter Flutter which was created for a solo show at Seed Space in 2013.